Avon Anew Clinical Professional Cellulite Review (2018): Does It Work? Avon Anew Clinical Professional Cellulite Review: Is It Really Effective? What Is Avon Anew Clinical Professional Cellulite Treatment? Avon Anew Clinical Professional Cellulite Treatment ,tube is specially formulated to tackle the pesky cellulites on your problem areas by restructuring your skin and smoothening out your skin’s outer surface. Although there are limited reviews online to back the manufacture claims. Avon brands itself as “the company by women for women”, supporting women around the world to become economically productive through its direct to consumer marketing efforts. Avon has a strong history providing for the personal care needs of its target customers, primarily women. As such, the brand has also been known to formulate and launch several anti-cellulite and firming creams to help tackle one of the most pressing vanity concerns of women — orange peels. Avon Anew Clinical Professional Cellulite Treatment : Does It Really Work? This dual action product works by delivering two very specific solutions to your cellulite problem in the form of the CelluRefine Cream and the Smooth Suction Gel. Both solutions work together to help strengthen and thicken your skin, fortifying its structure while simultaneously breaking down unwanted fats. What Are The Ingredients In Avon Anew Clinical Professional Cellulite Treatment? CelluRefine Cream: A complex specially formulated to help deflate and dissolve fats that bump against the surface of your skin which, in effect, decreases the appearance of the bulging when viewed from the surface of your skin. Smooth Suction Gel: This further boosts the benefits with the CelluRefine Cream delivers to your skin, including its fat burning mechanism, while the gel simultaneously strengthens and builds the resilience of your skin to make it tighter, firmer and thicker. This product offers a two-step solution that appears to be correct in helping fade the appearance of cellulites using a topical solution. The manufacturer fails to provide a detailed list of all the ingredients in this formula, making it impossible to gauge product safety and efficacy. Avon Anew Clinical Professional Cellulite Treatment reviews indicate that user satisfaction varies widely. Does Avon Anew Clinical Professional Cellulite Treatment Have Any Side Effects? Without a detailed list of ingredients, it is not possible to know side effects. Avon Anew Clinical Professional Cellulite Treatment must be applied on skin day and night to experience faster results sooner. Avon Anew Clinical Professional Cellulite Treatment will be more than capable of giving you softer and smoother skin. We cannot say how well it can deliver on its anti-cellulite commitment though. 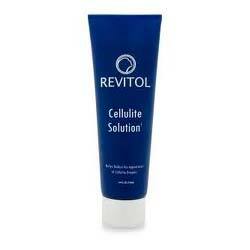 Besides, this product, like any other topical solution, cannot go down to the root of your cellulites problem. So, it’s right to expect improvements but, not expect your cellulites to vanish.